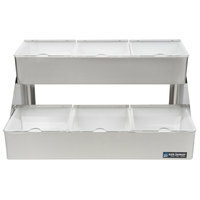 Neatly organize all of your condiments and toppings at your concession stand, bar, or self-serve counter with a countertop condiment holder. 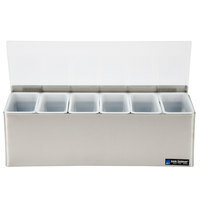 Available in a variety of sizes, styles, and configurations, we have just the right condiment holder to suit the needs of your salad bar, ice cream shop, or buffet. 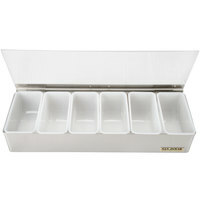 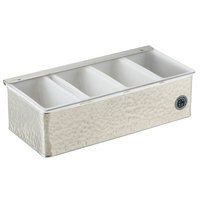 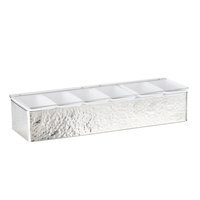 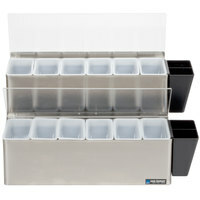 Choose from an easy-to-clean stainless steel or plastic holder with one or many compartments. 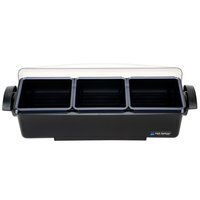 These condiment holders make it easy to separate sauces and relishes while keeping them all in one convenient location, and a bar condiment caddy can streamline your bar's beverage service by keeping your garnishes organized. 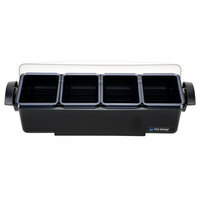 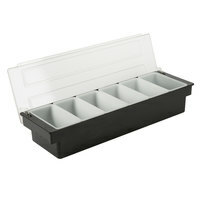 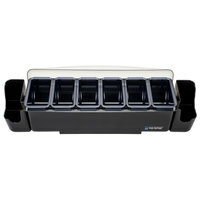 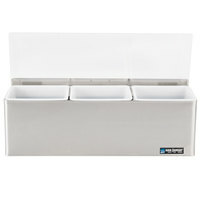 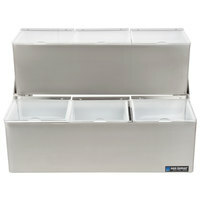 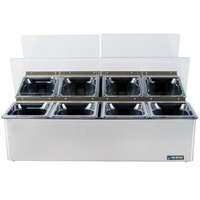 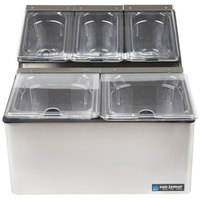 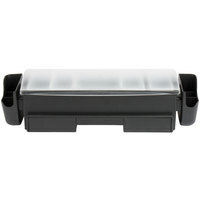 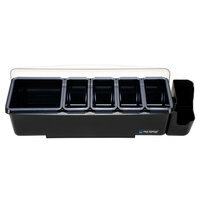 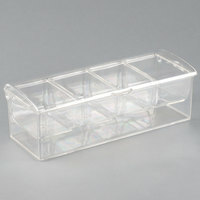 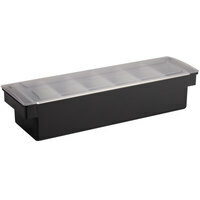 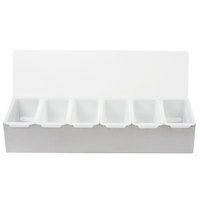 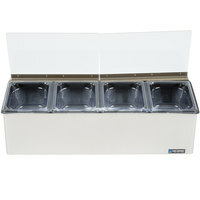 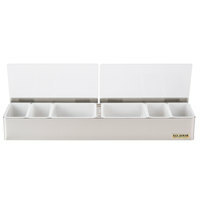 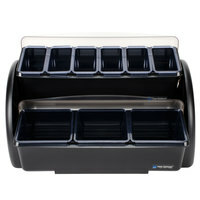 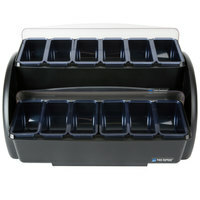 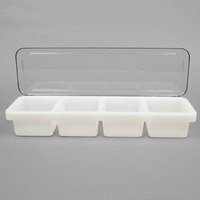 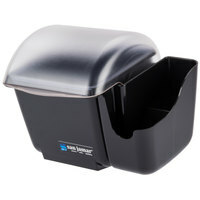 Choose from portion packet bins, condiment pump holders, and multi-compartment topping holders with and without lids. 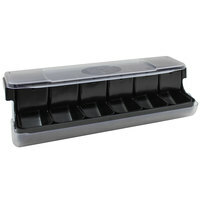 Many holders come with removable bins and lids for easy cleaning and rearranging. 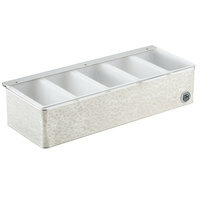 A countertop condiment holder or bar fruit caddy makes it easy to keep multiple garnish options in a compact space, so you can fit in on any size bar or work table. 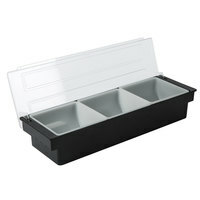 Keep your salad dressings together at your salad bar, and place ketchups and relishes in the same condiment holder at your concession stand.